Katie Droney of Bellharbour, North Clare, was one of the few singers we met in Clare whose repertoire was largely made up of Irish language songs. Despite our efforts, we never got to record her in her home; all these songs were recorded during the Willie Clancy Summer School. 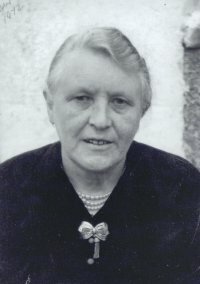 She was related to renowned concertina player, Chris Droney and Fanore singer, Martin Howley.